We all love stories. Ever since we were little, stories were integral to our imagination and, of course, our bedtime routine. It has been proven in study after study that humans remember, relate, and retain more information from a story that we see and hear, than say a PowerPoint presentation or white paper that we read. For many of us, visual representation not only better engages us on more levels, it also gives us a peek into individuals’ lives that would otherwise be unseen. In this blog, we’ll discuss some of the storytelling techniques that can enhance every brand/ company. DON’T forget about the importance of teamwork – having a diverse group of collaborators allows for an exchange of ideas, as well as different backgrounds, cultures, religions, etc. Above all, bring your passion to every story you tell. That “feeling” of being authentic, personal, and real will come through more than anything else. End of story. Live streaming has been around since the late 90s. At the onset, penetration was limited, and adoption was slow. Reliability remained an ongoing issue with infamous examples, like the spectacular server crashes from Yahoo’s Victoria’s Secret show. For those of you who don’t remember, millions of people hit Yahoo’s servers at the launch of the show and their servers went down. Who knew that event would be so, well, eventful! However, recently, the long tail of live streaming platforms and user adoption have come to a head and now live streaming has become the go-to video deployment solution. No longer do we just see large tech announcements, sporting events, or big Hollywood awards shows, like the Oscars providing live streaming viewing. Recently, with platforms like Twitch (YouTube) and Periscope (Twitter), there are huge audiences for enterprise-sized companies all the way down to small organizations, and even individuals, to live stream with their constituents. The availability of so much content delivered by live streaming platforms has normalized the paradigm, and is leading to the growing expectation of it even in our business. Many of our clients are now looking at live streaming as another arrow in their quiver of communication. In our case, we provide the thought leadership and infrastructure around successful and budget-friendly live streaming solutions. We see this trend only growing with companies all around the Intertubes. Stage Three: Edit, Don't Sweat It! This is part three of our blog series explaining the main stages of how to design, develop, and deliver successful videos. Over the past couple weeks, we have delved into the primary components that make up video production. So far, we’ve covered pre-production and production. Today’s installment centers on post-production. Post-production is the final step in creating a video masterpiece, which ties pre-pro and production together into a coherent story. Following suggestions in the previous two blogs sets you up for this stage to go smoothly. A solid producer is perhaps most valuable during post (ask any editor). They need to determine how they want to form and frame the story, so that it clearly conveys the client’s message. Weaving together sound bites taken from interviews that flow and move the story along, while also evoking some kind of emotion, and telling the client’s story, is the goal. The edit is where a project finally comes to fruition. The editor is the last in the line of creatives who is responsible for crafting the piece. Here, details of a story can be crafted and honed into the client’s vision. It’s often said, that the story is found in the edit. This isn’t to say, that decisions made during pre-pro and production don’t lead to the final story, but rather, it illustrates how a story can be molded into its final form through the editing process. As always, organization is key to accomplishing a high quality final product. Good labeling and well-crafted workflows allow editors to quickly drop in alternative shots, re-organize soundbites, as well as keep track of revisions. Typically, while the edit is progressing, on-screen graphics and motion graphics are added in parallel. During the script writing and storyboard phases, the ideas about how to use graphics as a communication tool and enhancement are discussed. They are then executed here. Well thought out graphics are always the hallmark of good pre-pro, and a talented post-production team. Just like with graphics, the decisions made during pre-pro about music, the tone and feeling that needs to be conveyed, are executed in post. Music can sometimes be as simple as dropping in a stock track, or as complex as embedding a custom written score. Audio in music is often referred as 50% of a video, so it shouldn’t be considered an afterthought. The post-production stage of video production is where everything you and your client have been working towards, comes to a head, and the overall vision is achieved. Whether you’re creating a corporate video, commercial, film, or otherwise, solid pre-production, production, and post-production are the foundation for effective, authentic storytelling. Stage Two: 3, 2, 1 ... Action! Last week, we introduced you to our 3-part blog series on the main stages of production, discussing the high-level phases that encompass video production. This week, we will concentrate on production, including the primary crew roles and responsibilities. Generally speaking, if you dedicate the necessary time and effort to pre-production, you — and, more importantly — your client, will have an exciting, rewarding, and relatively smooth day in the field. Key personnel on set typically will be a producer, who will sometimes act simultaneously as a director, a camera operator, an audio technician, and a production assistant. Depending on the scope of the project, you might additional crew members. A producer/ director is the voice that brings the set to life. They call “action” to get the camera rolling, audio “speeding,” actors acting, etc. They’re considered the conductor, making sure everyone is on task, coaching interviewees, explaining the shots they want the camera operator to capture, and being the main client relationship manager. A great “eye” separates special camera operators from mediocre ones. The job of the cam op is to capture the vision of the producer/ director. Basically, there are two parts to any story: a-roll (interviews) and b-roll (support video). Cam ops are always looking for opportunities to add visual interest, when shooting b-roll, with an assortment of shots using equipment like tripods, monopods, dollies, and Steadicam-like rigs. A good rule of thumb is the more coverage you have, the better. When you think you’ve shot enough, shoot more! Your editor will love you. Golden ears are the sign of a solid audio technician. The audio tech is tasked with recording live audio of interviews and natural sound of your shooting environment. On smaller budget projects, the audio tech could be replaced by simply putting up a boom mic on C-stand or placing a lav mic on an interviewee. Capturing audio is no easy task though, and while staged equipment may be cheaper, having an audio tech on set is incredibly valuable. They're able to work through the myriad challenges that can arise, from background noise to rustling clothing. It should be said that audiences are rarely forgiving of bad audio, and always notice it. Besides, 50% of video is audio. A stellar production assistant seems to have more than two hands. Among a PA's most important tasks are taking thorough timecode notes. An alert PA will mark the best takes and which shot types (wide, medium, tight) are filmed. Those details will be extremely beneficial when the editor begins cutting. Detailed timecode notes can greatly expedite the post-production process! PAs will also need to jump in and be a grip. They’ll carry equipment, set up and break down cameras, lights, etc. PAs occasionally need to play the role of makeup artist and be sure interviewees look good on-camera (no bunched-up shirts, fly-away hairs, or shiny skin). Every crew member plays a vital role in making sure shoots run as smoothly as possible. Did you execute the client’s vision? Did you meet the expectations outlined in the scope of the project? Did you capture all the shots? If you answered yes to all three, then you are prepared to produce the final piece! 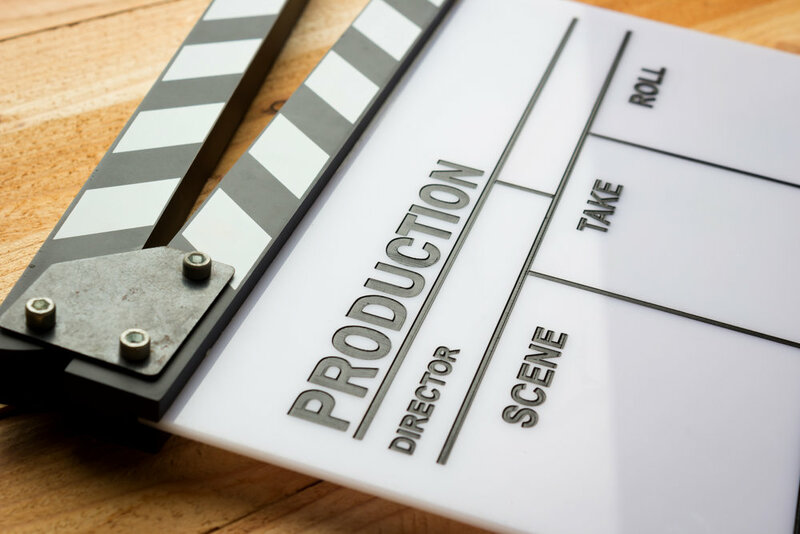 Whether you’re creating an internal video for a client, or making a film for an audience, you’ll need to consider the three main stages of production: pre-production, production, and post production. This week’s blog post will focus on pre-production, including its various aspects, and its importance in setting you up for a successful shoot and ease in the edit room. Proper planning and consistent communication between clients and production companies is vital to making sure you achieve your initial expectations. 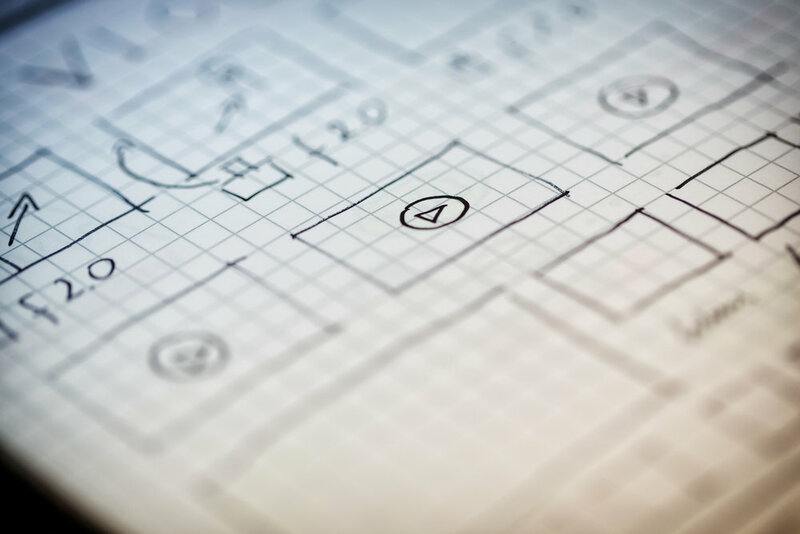 The inception of a project typically involves a kick-off conference call or meeting between client and vendor, in which you determine the overall scope, which includes specific goals, deliverables, and most importantly, budget. Once those elements are discussed and agreed upon, the creative and project management aspects of pre-pro take effect. Those involve script writing, storyboarding/ shot breakdown, location scouting, crew sourcing, and production schedule. Many projects, but not all, will also include professional narration or voice-over (VO). You’ll need a deep brief from your client to fully understand the project and their expectations. That’s the only way to provide a great script and/ or storyboard. That will drive your graphics design, shoot, music — basically, the look-and-feel of the piece, and eventually your post production. Establishing clear communication from the beginning, staying organized, focusing on project scope, and setting/ resetting expectations are the bedrock to successful creative and budget outcomes. We left you in 2017 looking back on a crazy year of ups & downs. FSP had mostly ups, and we all learn from those, but as with much of life, we learn more from our hiccups. When I was in the news biz, and it continues today, it’s common to use “file” footage, which can be anything from fire b-roll to fighting in Syria. They’ll font it “file” and leave it at that. Sometimes it does the trick, but most of the time, the “file” footage falls short of its mark. It doesn’t really nail what the anchor is reading. We all know that in corporate video, we deal with the same issues. We buy stock videos & photos to support projects as we need them, just like with music—a quick plug for our wonderful music/ audio guru @soundslikejoe. Buying stock assets is becoming more and more common. Clients would just assume we buy a relatively inexpensive stock clip rather than shoot specific b-roll. One of our challenges is to explain the value of specificity to our clients. As with most things, some get it right away and, well, some don’t. There, absolutely, are times when generic is “good enough,” however, that phrase is the enemy of great, which is what we’re always trying to achieve. Just ask our DP/ Sr. Editor/ Ops Dir., Karl Wagner. But, I digress. Bottom line: Just like when I was producing news, we need to make sure our stock footage—“file”—properly supports the piece and is not the easy way out. Heck, we just had a beautiful snowfall here in Charlotte and we shot some footage right outside our door! Now we have our own stock snow b-roll. Think of those opportunities. Giving clients a little more pushback against the use of generic videos & photos, might be a way to both better service those we serve, and help our bottom line. To use a trite phrase, video usage in the corporate world is at the “tipping point.” Video is now being commonly used within enterprise-sized companies for everything from training to leadership to live streaming. In 2018, we will most likely see video as the primary communication tool within Fortune 500 companies. Many medium and smaller-sized companies will probably follow suit. External comms has already seen exponential video growth in talent acquisition vignettes, executive messaging, and, of course, marketing. As we transition into the new year, consider how video can positively impact your company's communications. Talk to you next time … Happy 2018! Our blog – as most – discusses industry issues and brings to the forefront topics that are of interest to a broad community of marketing & communications folks. Of course, since our bread-and-butter is corporate video production, that is our main focus. However, since this is our final blog of the year, we are going to take a look back … and forward. On a high level, we continue to deliver best-in-class videos in record time to our clients’ delight; our client partners humble us with their confidence by asking us to support everything from TV & Web commercials, to multi-cam live events, to training, to trade shows, to talent recruitment, to video vignette storytelling projects; we continue to grow our relationship with Fortune 500, 100 & 50 companies, as well as medium and small companies here in Charlotte and around the country. We continue to look for innovative technologies, processes, and methods to support our client partners. That is our #1 focus. Delivering on our promise of telling their complex and simple stories in a way that is educational, engaging, and entertaining. We have had a rewarding, busy, and satisfying year. We hope you have too. If you are already a partner, we deeply appreciate your business and never take it for granted; if you are not, we look forward to hearing from you to discuss any and all of your video production communications. Happy Holidays from all of us at Full Scale Productions. We look forward to an even better 2018. What do Dogs with Vlogs Have to do With Your Communications Goals? Whether you like it or not, at this very moment a certain percentage of your workforce is most likely online watching a vlog of some sort. It may or may not be work-related. In fact, it may even be a dog’s vlog. (Seriously, just do one quick YouTube search on “dog vlog” and see how many come up.) Why not turn that habit into an opportunity to deliver one your key messages “first hand” via an executive from your leadership team? The more your employee base or key external audiences see and hear from your leadership team, the more relatable the messages and the individuals become. What’s stopping you? Your audience is already there. If you think you and your team lack the time and/or budget to create, script, produce and post a vlog at regular intervals we can help. Our team can work with your in-house subject matter experts to craft key messages, script and prep your executives, create an editorial calendar for the vlogs, pace them at an appropriate rate to post and then post and provide you with the metrics on who’s viewing them and how often. Sound too good to be true? It’s not, and if you’re not leveraging regularly-scheduled video messaging, and in this case, in the form of a vlog, you’re truly leaving a gap in your overall integrated marketing communication plans regardless of whether it’s an internal or external audience your team is tasked with reaching and influencing. Also, if a four-legged creature is part of your family, next time you find yourself on YouTube make sure he’s not vlogging without you knowing about it. Or, better yet, set up your furry friend with his own. In the mean time just reach out to us if you’d like to talk vlogs.